You cannot drive through Castle Rock, CO and not notice that it’s a happening place. Virtually every part of town has some growth, whether it’s a new office building downtown or the Promenade Shops at Castle Rock to the North, or new neighborhoods here in The Meadows. Living in Castle Rock, CO is exciting. While it is a fast-growing community, it still has small town character and charm just as it did years and years ago. Just take a walk down Wilcox or Perry Street and you’ll see what I mean. I guess you could say we get the best of both worlds living in Castle Rock, CO — a bit of modern suburbia and a quaint small town that makes you feel like you’re away from it all. I know that’s why I chose to live here. 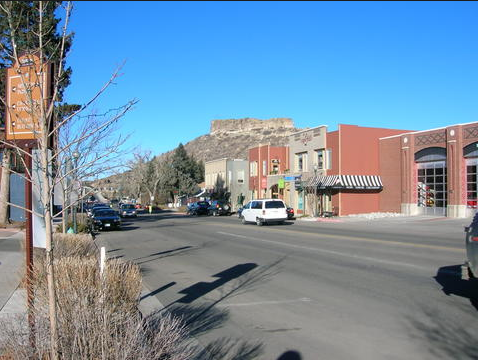 Castle Rock, CO is known to be a community that encourages an active lifestyle. Living in Castle Rock allows you to have easy access to the Castle Rock parks, open spaces, events and Recreation Centers. There isn’t a day that you won’t find someone riding a bike or running along The Plum Creek Trail or one of the many other Castle Rock trails that meander through town. As I alluded to before, despite all the growth, Castle Rock, CO still has a beautiful small town charm. I grew up in a small town and went to college in Gunnison, CO, a really small town. I love the feeling that you get when you spend time in our historic downtown community. It’s a nice break from all the commotion. The people are friendly, and full of pride. You can actually walk across the street without someone running you over, and the unique shops are fun to explore. The restaurants and watering holes are great to meet friends and neighbors. For me, downtown Castle Rock, CO reminds me of the small mountain community that drew me to Colorado in the first place. The other great thing about living in Castle Rock,CO is that it’s close to the metro Denver area. If you work in the DTC (Denver Tech Center), want to catch a Broncos game or spend a night in Downtown it’s just a short drive North on I-25. There are a lot of great things about living in Castle Rock. If you live here, why do you love it in Castle Rock? Share with us on The Meadows Facebook page.